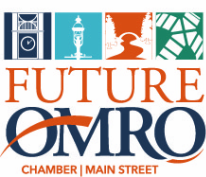 There are many events throughout the year which Future Omro facilitates. With a staff of few, it is impossible to manage these events without the help of wonderful people who give their time and talents. These wonder people give their time to help make the event successful and enjoyable for the residents and guests of Omro. We need more of these great people...if you enjoy giving back to your community or if you feel that giving some time to a good cause is an important part of living in a community....we need you! Please contact the Future Omro at (920) 685-6960 X23, email: shawkins@omro-wi.com you can stop in at 130 W Larrabee and talk with me about what we do and how you can help! "Volunteers don't necessarily have the time; they just have the heart." Below is a list of Future Omro Sponsorship Advertising and Volunteer opportunities which are available throughout the year. 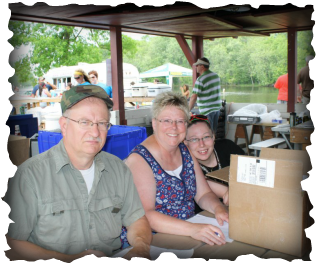 Dan and Lynn Kromm of Reed Hill Bed and Breakfast along with Granddaughter Kim, count ballots at the 25th Annual Memorial Day Car Show.